Ferrari president Luca di Montezemolo has hit out at the current regulations in the sport, calling them a 'mistake'. 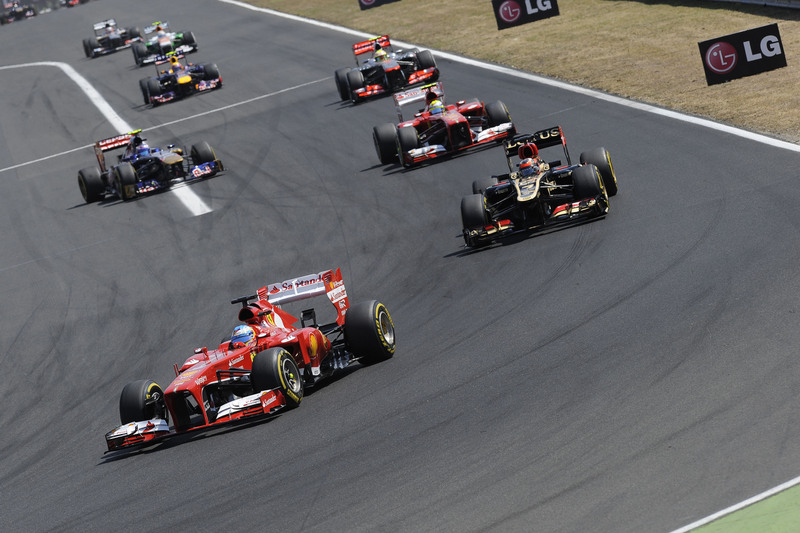 Ferrari is currently in third place in the championship but has not won a race since the Spanish Grand Prix in May. Di Montezemolo also said he did not approve of recent comments made by Fernando Alonso. "Fernando has given a lot in these last years and I repeat, his disappointment, which came about mainly after Silverstone, where all of us expected to be more competitive, is understandable," he said. "But I didn’t like some attitudes, a few words, some outbursts. And I said so…I reminded everyone, including the drivers, that Ferrari comes before everything, the priority is the team. Rather like a family father pointing out the need to respect some family rules: I wish to underline the concept of family values…"
"Let me make it clear that it’s Ferrari I’m interested in. Drivers, we’ve had a lot, some very good, some great, but drivers come and go, while Ferrari remains." He also added that the team will soon sit down with Felipe Massa to discuss the Brazilian's future. "Felipe is a quick driver and a great guy. But in the past days, we were very clear with him: both he and us need results and points. Then, at some point, we will look one another in the eye and decide what to do." Di Montezemolo also attacked the current regulations, calling them a 'mistake'. "I’ve been around in F1 for quite a while, since the Seventies, so I don’t envy anyone anything. With the current regulations favouring aerodynamics, Red Bull was clever in getting a great designer, Adrian Newey, to get the most out of all aspects of the regulations." "I will digress: this aspect of the rules is, in my opinion, a mistake and therefore needs changing. Luckily, the hoped for changes are coming. We don’t make drinks and I say that with all possible respect for those who make drinks, we are not a sponsor, but we design and build cars of the very highest order. We will stay in F1 as long as it can be considered a test bed for advanced research, the highest technology and worthwhile for a great company like Ferrari, which is known and appreciated around the world." Ferrari's president also hit out at the 'farce' over this season's testing regulations, after Mercedes was given a reprimand and suspension from the young driver test following their Pirelli tyre test in Spain. He also hinted that Mercedes's form following the tyre test affects the credibility of the sport. "Formula 1 also has to be a clean sport without any of the monkey business we have had to put up with in recent years. From next season, we will have a completely different F1, finally less dependent on aerodynamics." "I build cars not planes." "We will finally have testing again and not a farce like what we saw this year with one team doing illegal testing without even paying the right penalty for it. In this case, I would have expected more clarity and courage from the FIA. On the other hand, the benefits gained by the team that carried out the secret banned testing are watched by everyone: before then, it had not won a single grand prix, then after the test it won three out of five races. These are the sort of serious incidents that affect F1’s credibility and alter the championship."